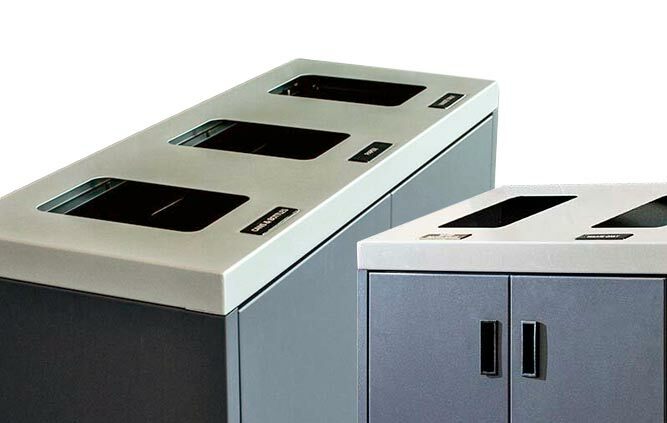 From single to triple stream in a snap, our versatile Flex-E recycling receptacle easily converts into a multi-stream recycling unit in just a few minutes. Prevent Recycling Mishaps! The Flex-E’s high impact graphics to direct your waste into the proper streams. Each lid includes stream labels on both sides with optional base & backboard graphics available. 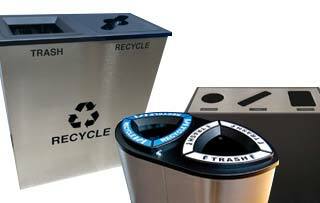 Each unit is made from 55% recycled HDPE (High Density Polyethylene).